What Kind of Oil Should I Use to Deep-Fry Wings? Is It Safe to Reuse Your Cooking Oil to Cook Chicken? For the crispest coating, opt for deep frying. 3 What Kind of Oil Should I Use to Deep-Fry Wings? 4 Is It Safe to Reuse Your Cooking Oil to Cook Chicken? Frying is not a one-size-fits-all process. 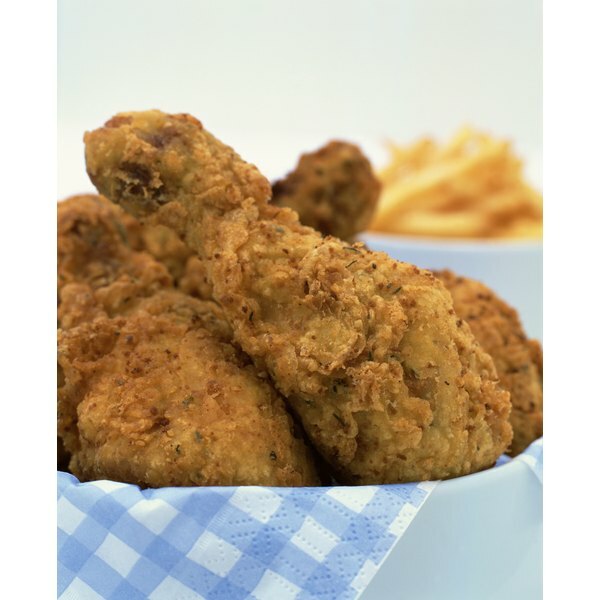 While you can pan-fry chicken with as little as several tablespoons of oil, deep frying will require a considerable amount more oil to achieve the optimally fried drumstick. Pick your method and get ready for a mouth-watering meal starring this classic fried comfort food. To use less oil, choose the pan frying method to fry drumsticks. Instead of completely submerging the chicken in oil, pan frying requires you to turn the chicken throughout cooking to ensure the even browning of its coating. 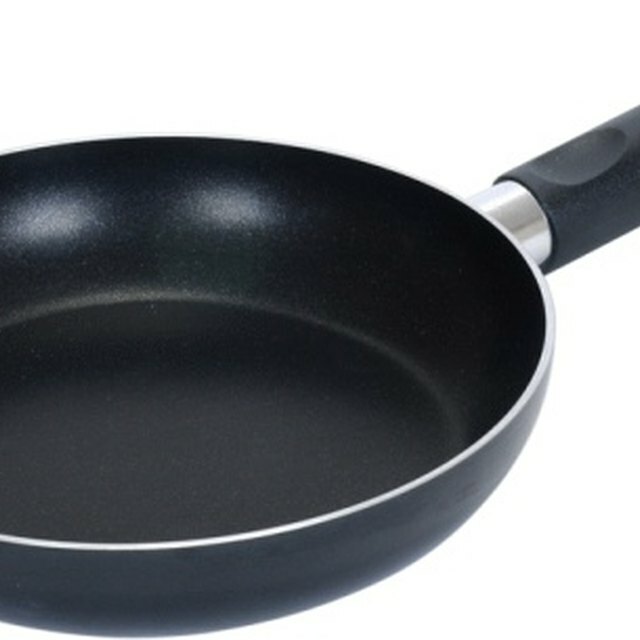 Cover the surface of a frying pan with 1/8 inch to 1 inch of oil for pan frying. Depending on the pan size, the amount of oil needed for pan frying can range from under 1/4 cup up to 1 cup of oil. It is important that you maintain a steady temperature when frying chicken to ensure that your chicken does not soak up an excessive amount of oil when cooking. To promote a crisp crust and cook chicken evenly, use an instant-read thermometer to keep the temperature of the oil at 350 degrees Fahrenheit throughout cooking. Do not allow your oil to reach its smoking point and monitor oil temperature throughout frying because it can rise and drop quickly. Always choose a high-smoking point oil for frying drumsticks. Peanut, soybean and canola oil, all of which have smoking points upwards of 450 F, are solid choices for frying that are low in saturated fat. Coconut oil is another suitable choice, though the saturated fat in coconut oil is significantly higher than other frying oils. While deep frying can be expensive due to the cost of oil, deep frying oil can be reused several times if strained and stored properly after each use.